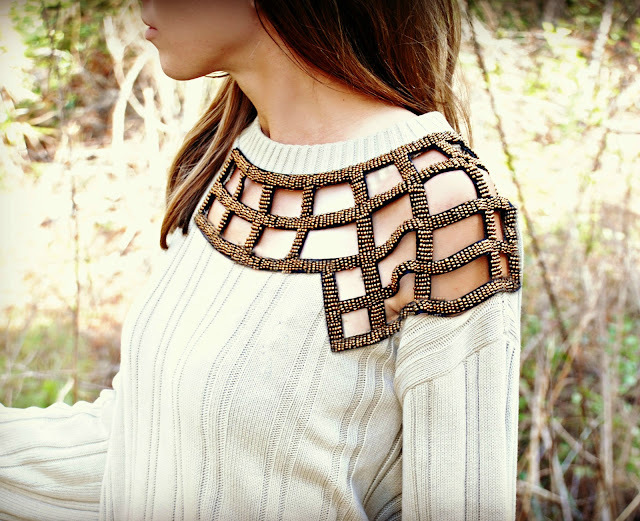 I really loved this sweater and when I found out it was actually not available in stores and was just simply a DIY I HAD to share it with you! So H&M released their own take on boucle jackets for spring. They've been trending for a while now actually. There's quite a few different styles... and even boucle style skirts. Of course you have to make it work for you and not end up looking like you're in your late 40's. I think with the right accessories and clothing to boot, it can add sophistication to a wardrobe. I'm definately on the lookout for the perfect jacket for myself this spring. Hmmm... yes I'm still deciding on whether or not I like this new idea by Christopher Kane, but it seems to be popular amongst many fashionistas so I had to talk about it. 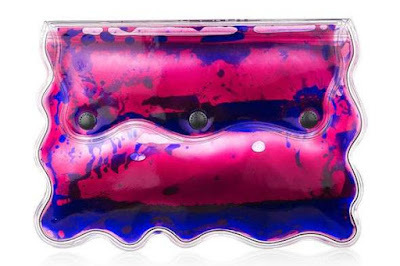 So Christopher Kane has come up with the jelly clutch... and basically that's exactly what it is. It's a jelly like substance in the form of a clutch. Did I explain that correctly? I think a picture of it would help more than my explanation any day. 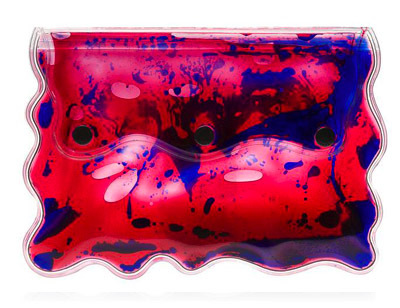 Basically it's supposed to be "aqua gel-filled" but the kicker is that these retail for about $720 USD! Yes! Holy moly for a simple clutch?! And that too one made not out of a high end material but jelly... I think not! I would rather use that money and buy myself that Tory Burch Robinson that I've been oogling at online. But to each their own. What's your take on this? Would you purchase it? If so, how does $720 dollars sound to you? I was browsing through so many fashion magazines and online stores and noticed one thing. Every store was denim crazy! I loved the items and it's funny how faded jeans are back when they weren't so popular a few years ago. Do you remember the days when skinny jeans were whatever and flares were all the rage? Man do I feel old! So I browsed H&M, Vero Moda and even Costa Blanca and their clothing is cute and so denim-y. I know it's not a word. I just coined it. I'm sure if you're a shopper or a fashion forward person you know all about this craze. I mean we've seen the spikey, the floral, the animal print and the neons come and go. I think spring and summer will continue to have pastels dominate, especially with nail polish colours. On a side note, have you seen Drew Barrymore's new makeup line called Flower Beauty? Talk about some GORGEOUS nail colours! It will be unfortunately sold exclusively at Wal-mart stores only, and I have no idea when or if Canadian Wal-marts will get this line. I've heard the colour range is great and the packaging I have to say IS super adorable. I'll post a verdict on the line when I can get my hands on the products. The nail colours were what drew me to the line the most. Today was just one of those lazy days at home. It's family day here in Canada so everyone was off today and hopefully with their loved ones and relaxing. It's FREEZING here in Toronto! Brrrr! So I discovered Lianne La Havas, a London based folk and soul singer. Her voice is amazing! I've been in love with her song called "Gone" and wanted to share it with you all. Yes you read it correctly. The pyjama shirt trend is hitting stores near me and I wanted to see what it was all about. It pretty much just looks like silky or cotton pj shirts to me that women can rock with jeans or trousers. I don't mind it, but it does seem a tad bit like I forgot to change my shirt in the morning and just walked out. I think the ones that are nice are the ones that have patterns to them and that look a bit more put together compared to solid colours. Here are some that I came across... what's your take on this? Would you wear it? 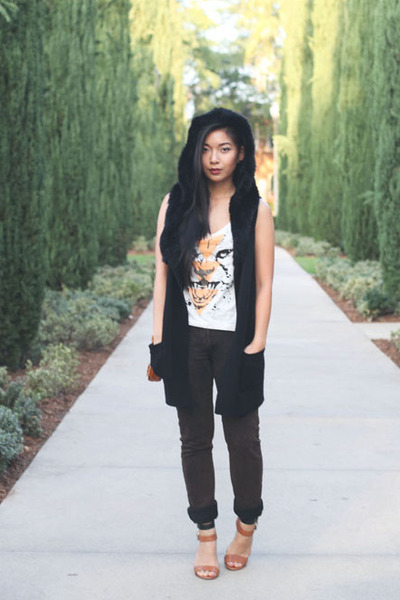 Is anyone else really into the tribal, boho animal clothing right now or is it just me? It's funny I say this because just yesterday I was going 'gaga' over floral prints (which I also love of course), but wait till you see these! I'm in love with these pieces and we will definately be carrying some in our store so I'm super excited! When I look at these I just think one word... FIERCE! Do you have animal fever?